We take shipping very seriously. 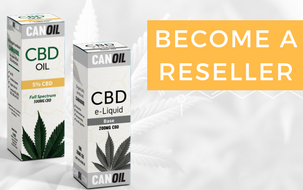 We ship our CBD products to all countries in the European Union. We use the latest techniques and services to ensure that your package arrives safely, securely and in a timely manner. All of our products are shipped in discreet, unmarked packages, and sent via ‘Track & Trace’ couriers – ensuring total control and peace of mind. Orders from € 500,00 exclusive of VAT will be sent free of charge, below this amount you will pay shipping costs. The shipping costs are listed below, even if you place multiple orders per day, there will only be 1x shipping costs charged. Your parcel will always be sent with a tracking code. If you order on working days before 17:00 hrs, it will be shipped the same day. Each order is packed in a new shipping box. We send all our packages with a 'Track and Trace' courier service, so that your package can be tracked online. The tracking number will be sent to you by e-mail as soon as your order has been dispatched. Orders within the Netherlands and Belgium are usually delivered the next business day. Delivery times to other countries are shown in a table below. It may be that after you have placed your order, you still want to cancel the purchase. You have 7 days to return your package to us according to the following procedure. - First contact Canoil to register you return. - Do not return products that have already been opened. Our products are sealed and we can not reimburse products that have been made open. - After we have received your return and the requirements have been met, we will return the purchase amount to you within 14 days (usually within 2 days).